13th March and finally we see our local frog spawn at Oldtown, Ardgay. In the sun the water / jelly temperature was 10.5 deg C ; underneath, 6 cm down on the bottom, it was 4.5 deg C.
This entry was posted on Wednesday, March 13th, 2013 at 20:30	and is filed under Who Has Seen What, Zoological. You can follow any responses to this entry through the RSS 2.0 feed. Both comments and pings are currently closed. 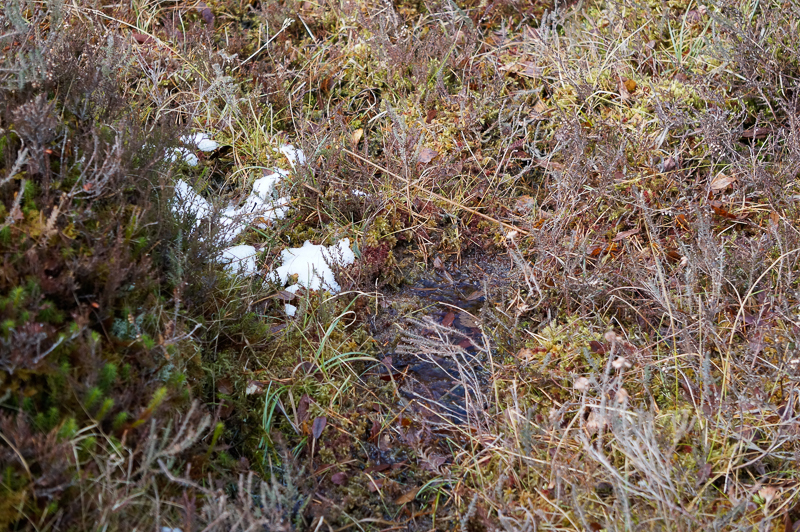 I assume the Torbreck referred to by Aaron drains Loch Ashie which is south of Inverness and much of the burn lies above 200m elevation. 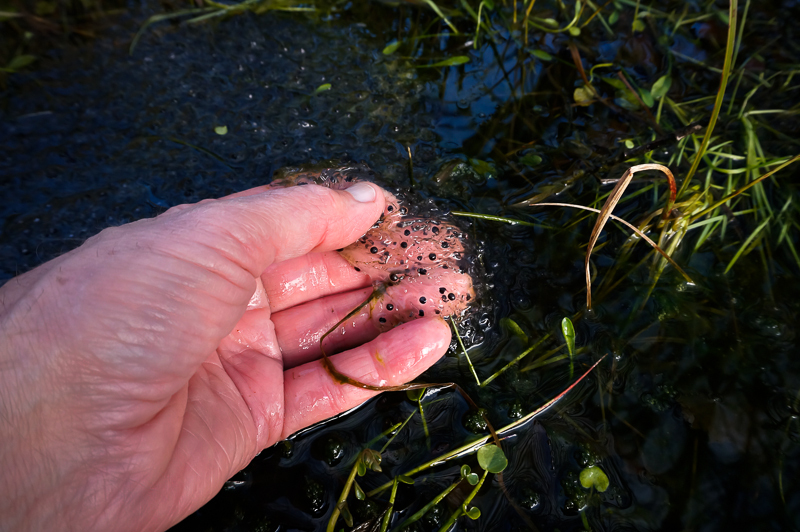 Just been on a frogspawn hunt with the kids around a very suitable looking oxbow in Torbreck. No spawn and no tadpoles either, ice on the fringes of the ponds under the trees. 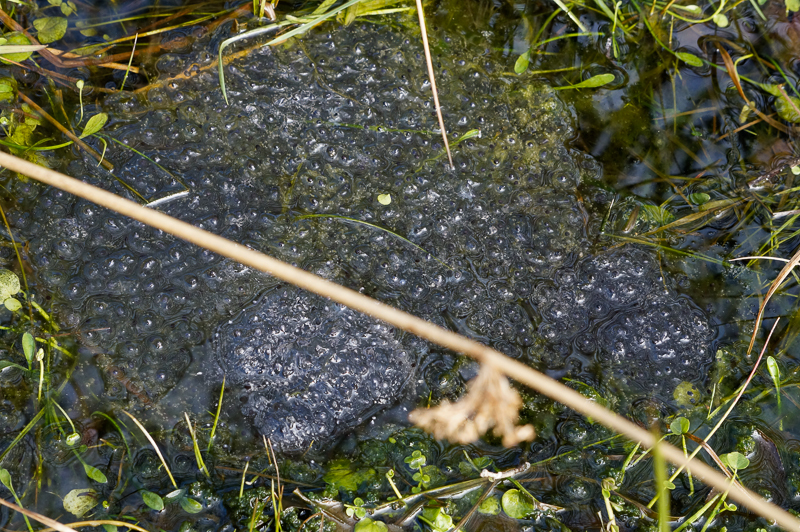 Spawning was late all over East Ross this year, but the earliest records I have are earlier. 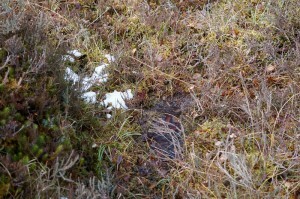 On 3rd March there was spawn in a garden pond in Tain. 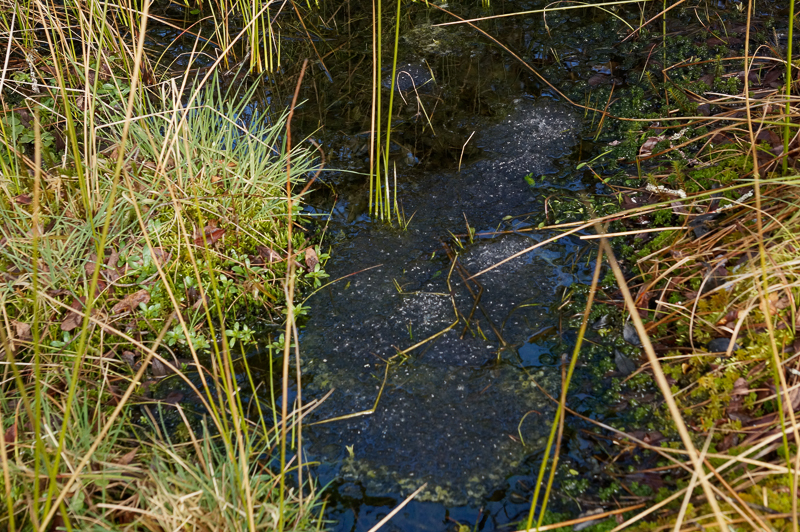 This particular pond is usually on of the earliest sites for frog spawn each year. I checked the Gearrchoille pools the next day but there was none – not surprising as the main curling pond still had 2-3cm ice. However by 7th March the the ice had gone and the first spawn had appeared in the Gearrchoille and there has been quite a bit of new spawn since then. Interestingly the Oldtown pond is less than 1 km from the Gearrchoille curling pond but is 40+m higher up the hill. I would think that temperature at the higher altitude has made the difference here.